The limited editions include options of a silk scarf in satin or georgette, or two silk satin pocket squares. Each is presented in a beautiful gift box with a numbered certificate, signed by the artist. To purchase, see below or click here. "Kambarang Part I" acrylic on canvas, 70 x 100 cm. Joanne Duffy 2018. The series takes inspiration from the six indigenous seasons of the Nyungar Boodgar country in Western Australia. Kambarang is the second spring of October and November, the season of birth. 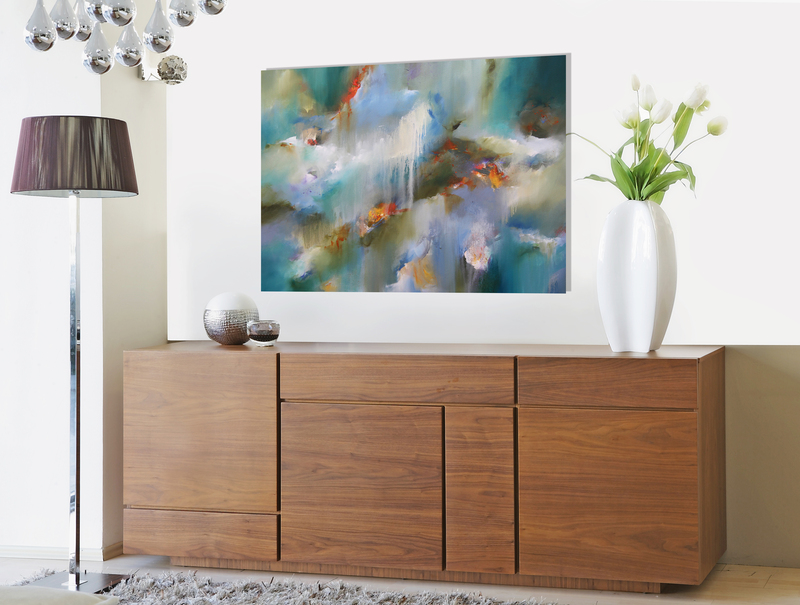 The original artwork by Joanne, depicts the vibrant colours of the Moodjar (Australian Christmas Tree Nuytsia floribunda), the turquoise coastal surf – a time of migrating whales, coastal greys and greens and fading Leschenaultia of the previous season. A beautiful gift for Christmas or be the first to collect this exclusive collectors silk. 130 x 105 cm 100% silk georgette.